Regular use of olive oil is an essential part a healthy nutrition program. Olive oil can be classified into different types according to quality. 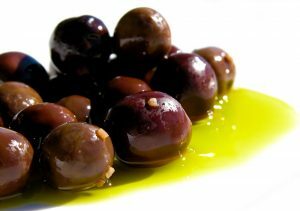 The finest quality is Extra Virgin Olive Oil (EVOO) obtained by cold extraction. This has the highest concentration of health-preserving antioxidants and polyphenols. Secondary pressings and heat-extracted olive oils are inferior. 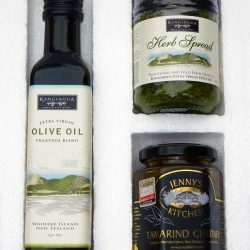 Many health benefits are associated with regular intake of high-quality EVOO. These include reduced risks for a variety of cancers (breast, prostate, colon, stomach, endometrium and ovarian), ulcers, gallstones, rheumatoid arthritis, and better metabolism in diabetics. Regular consumption of EVOO also increases HDLs, the so-called “good cholesterol”, and reduces the risk of heart disease. These benefits are derived from EVOO’s action in reducing plaque formation in the coronary arteries (reduced arteriosclerosis), lowering blood pressure, and anti-inflammatory effects. Oxidation is what causes metal to rust. Similarly, in our bodies oxidation leads to a variety of degenerative processes. Oxidized LDLs, the “bad cholesterol,” are a primary factor in arteriosclerosis. Sustained moderate doses of EVOO binds the LDLs and reduces their oxidation. Additionally, anti-inflammatory effects work on the coronary arteries helping to reduce plaque, and also on the joints reducing the effects of rheumatoid arthritis. A myriad of beneficial substances are found in EVOO. Beneficial substances include oleuropein (antioxidant), beta-sitoserol (antioxidant), tyrosol (decreases LDL oxidation and reduces inflammation), squalene (antioxidant), and alpha-tocopherol (vitamin E component). This potent combination scavenges free radicals that cause detrimental oxidation to many body systems and inhibits cancer-causing actions of heterocyclic amines (dangerous compounds that come from cooked animal fat). They also activate certain enzymes in the body that further reduce oxidation. 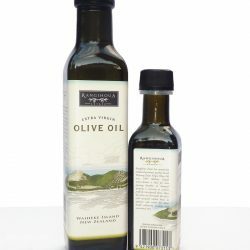 Rangihoua EVOO is what I use and what I recommend. I have personally observed their high-quality cold extraction process. All extracted oil is stored in stainless steel vats. It’s available in a variety of tastes (depending on the type of olives) from nutty/ buttery to spicy/peppery. They’re consistent award-winners in international competition. With any of these you can’t go wrong.